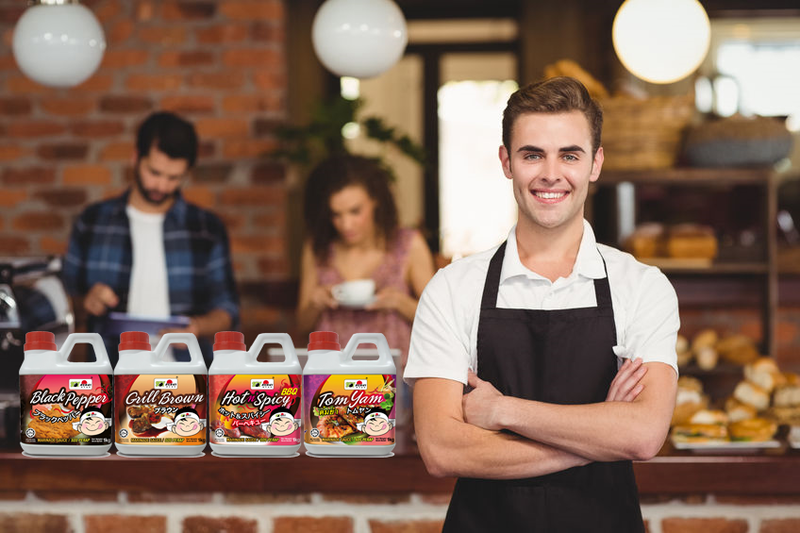 With a unique blend of quality and innovative products, Soy Asahi Food Service (M) Sdn Bhd has been constantly providing our customers with new approaches, new concepts and assist them to pursue the highest achievement in food service industries. Founded at the turn of century, the main goals of Soy Asahi Food Service (M) Sdn Bhd is to be an excellent food company that commits to customers’ satisfaction and to be a leading food and beverage manufacturer in Malaysia. From a humble beginning, we have today grown into a company which supplies a wide range of innovative products such as Seafood Stocks, Marinades, Instant Custard, Beverage and etc. Our innovative products have been used in many of today’s leading food service companies. Our innovative products have also been carefully developed to offer convenience in food preparations. Besides supplying to the local industry, Soy Asahi has expanded its wings across the globe. In recognition of the manufacturers stringent quality management system, our product is manufactured in a facility that is awarded ISO 9001:2008 QMS (Quality Management System) and ISO 22000:2005 Food Safety Management System. Moreover, we are also extremely serious about the quality of our products, therefore all of the products are certified halal. To be a market leader in taste and food innovations in the food and beverages industries in Malaysia, South East Asia, Asia and beyond. To be an international standard food company that provides global customers with a wide variety of mouth watering and savouring to palate products.